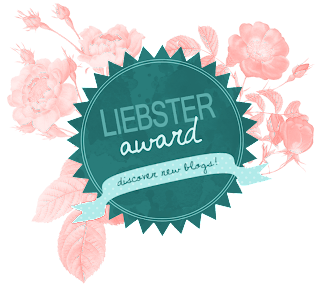 Desire-Plus-An-E: Liebster Award # 2, 3 & 4! I gave 11 facts about myself and nominated 11 bloggers with my 11 questions for them (so many 11's! haha) on my Liebster Award #1 post. 1. What's your favourite ice-cream flavour? 3. What would be on top of your bucket list? To explore all the amazing countries in Europe. I initially started writing in order to keep myself busy on lazy summer days (that is before I got my current job), but now it's a fun hobby of mine. 5. What is your best asset? 6. If you could be someone famous for a day, who would it be? Anne Hathaway. I love watching her in all her movies. She's so funny and beautiful... I would definitely want to experience a day in the life of a famous actress. 7. What are your five closet staples? My Birkenstock Gizeh sandals, Wilfred Diderot sweater, Abercrombie & Fitch maroon jeggings, Nike Free runners, and Loft oversized linen cardigan. 8. Would you rather kiss a frog or eat insects? 9. What is that one book you can read again and again? Nora Roberts' Bride Quartet series. 10. If you could live in another generation, what generation would it be? I would give the 1950's a shot, the women's fashion in that decade was dominated by beautifully structured dresses! 11. One food you will never ever ever eat? Anything to do with insects. 1. What is your desert island makeup product? 2. Which YouTubers do you watch? Essiebutton, Missglamorazzi, Bubzbeauty, Wong Fu Productions, HGTV Handmade, AnnOrShine and many more! 3. One bizarre fact about yourself? I have many freckles and beauty spots on my stomach. A lifestyle blog created to share the loves of my life. 5. What is your dream buy? 6. What is one of your wardrobe staples? 7. What book/magazine are you reading at the moment? 9. Favourite brand of clothing? 10. Favourite brand of makeup? 11. What is your aspiration in life or something you really want to do? 1. What is your most inspiring quote? We were given two hands to hold, two legs to walk, two eyes to see, two ears to listen. But why only one heart? Because the other was given to someone else. For us to find. 2. What are your essentials for summer? 3. What is your most labourless makeup regime? Fill in brows, put on mascara, put on undereye concealer, and tinted lip balm. 4. What is your favourite lipstick? 5. Do you read your follower's blogs? 6. Who is your favourite beauty/fashion blogger? 7. What products are currently on your wishlist? 8. Describe yourself in 5 words. 9. Why did you start a blog? I initially started it to keep myself busy so I don't waste time at home but now that I have a job, it has changed to become a hobby of mine. 10. What is one of your talents? 11. What is a piece of advice you would like to share?